St. Joseph’s Ambulance Service is a family owned and operated company with a long history of service to the San Francisco Bay Area dating back to 1956. Our client list includes: University Medical Centers, acute care hospitals, convalescent hospitals, private physicians, health maintenance organizations, medical service organizations, IPAs, third party payers, employer groups, private businesses, and government agencies. In addition to our ambulance transportation division, we also offer a comprehensive list of special event standby services. These have included medical standbys for movie production companies, concerts, professional sports, major athletic events, high profile dignitaries with special security considerations, and parades. We routinely transport patients arriving and departing from San Francisco and Oakland International Airports. We also can seamlessly interface and coordinate air ambulance transportation to or from anywhere in the world. You need reliable, on-time and safe transportation. This is what we provide.  Fill out our online employment form to apply at St. Joseph's Ambulance Service! Schedule a pick-up or drop-off time when you travel in one of our vehicles.